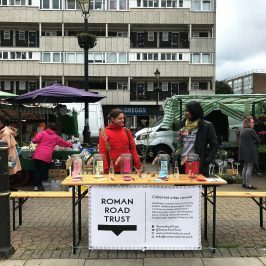 Queen Mary University of London have conducted a Shopping & Transport survey with businesses in Roman Road East. The aim was to gain insights into the relationship between shopping habits and how people travel to Roman Road. 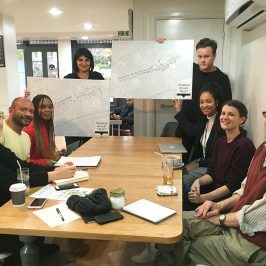 The project was part of QConsult, a programme led by Queen Mary University which places a team of undergraduate students into local organisations to deliver a consultancy project. 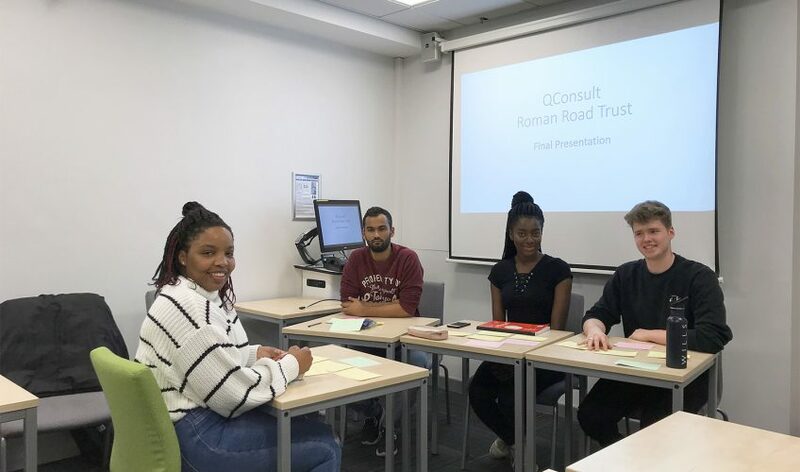 The four QMUL students (left to right) Christiana Bakare-Abiola, Rafiul Islam, Okikiade Oloyede, and James Atkinson were introduced to Roman Road and given a tour of the high street. 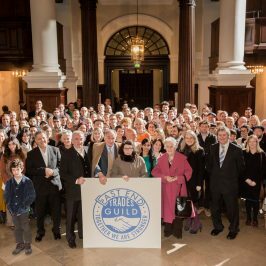 The QConsult Team were required to conduct research into government targets for reducing congestion, including the Mayor’s Healthy Streets agenda which looks to help Londoners reduce their use of cars by encouraging them to walk, cycle and use public transport instead. 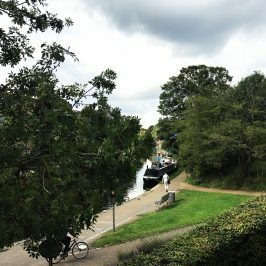 As part of the project, the QConsult team visited the Mini-Holland scheme in Waltham Forest, a network of green infrastructure improvements designed to improve cycling and walking experiences. For the final part of the project, the team created a written report which details the findings, insights and suggestions from the survey. This was accompanied by a presentation at QMUL which took the form of a debate. Each student took on the role of either the local authority, a business, a resident, or Roman Road Trust. 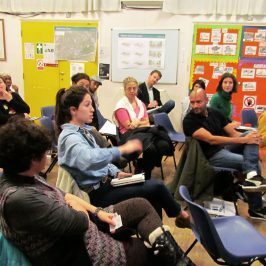 The result was a varied and engaging discussion that covered a range of viewpoints. 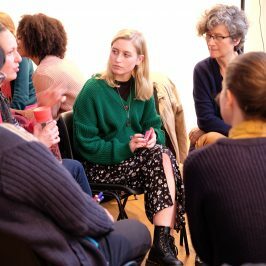 This is the second QConsult project undertaken by QMUL students, and follows on from the initial QConsult in January 2018. 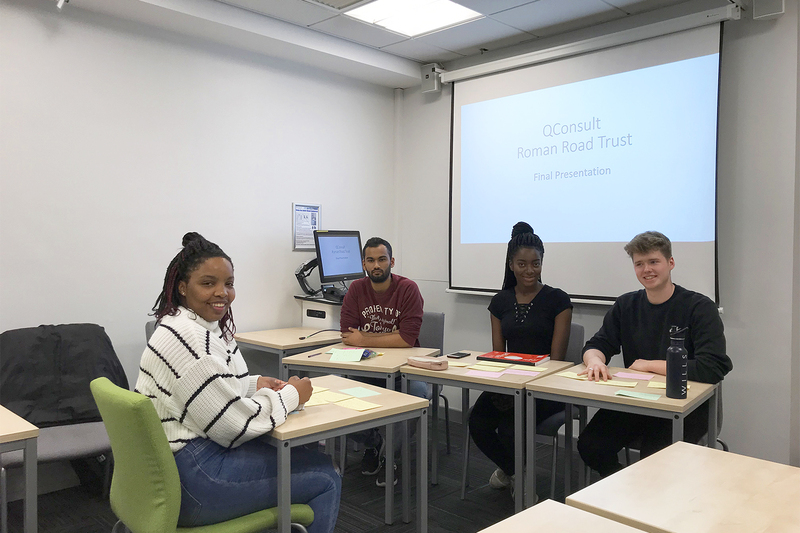 Roman Road Trust would like to say a massive thank you and well done to the QConsult Team as well as big thanks to the QMCareers department at Queen Mary University of London. Read the full Shopping & Transport QConsult Report.